Anything and everything, according to risk consultants. Most of us walk through life blind to the hazards around every corner. Little things, like an uneven sidewalk or an unsteady bookshelf, don’t usually register as potential catastrophes. And it’s probably good they don’t, or we might never leave the house. But what if it were your job to predict the worst—to search your environment for anything that could go wrong? That’s the role of a risk consultant. Here, move through three distinct locations as a risk consultant would, systematically sniffing out disasters before they happen. When you run a winery for a living, others probably think you spend your days wandering among the vines, warming a glass of cabernet in your hand. But you know the reality isn’t quite as romantic—or stress-free—as that. The environmental factors needed to make good wine—soil, topography, and climate—are also the factors that make wine production a precarious business. Wildfires are an obvious risk; they caused major damage to Napa Valley wineries and residents just last year. But for the wine industry as a whole, fires and earthquakes have always been a concern. And unlike other agricultural businesses, wineries are particularly risky endeavors because oftentimes weddings and other festivities with hundreds of people happen alongside production. Below, explore these potential hazards and how a risk consultant seeks them out. Many wineries are located at the end of long, winding roads. As the risk consultant arrives, she’ll make sure there is easy access to your property so fire trucks can get on-site quickly. She’ll also check that the driveway is lined with reflectors and is pothole-free so no one careens into the vines when guests leave or workers arrive (harvesting often takes place in the evenings to keep grapes cool). As she approaches the facility, the risk consultant will look for a water source. If there isn’t a public fire hydrant, she’ll make sure the winery is near a pond and that it’s connected to a working pump. A growing number of wineries are incorporating solar power into their operations, but a move toward sustainable energy comes with new insurance risks, like electrical fires from shoddy design or installation. And what about back-up generators on-site in case of a power interruption? The risk consultant will check for that as well. Wine tanks are secured with simple metal hardware similar to a large wing nut, but that hardware can weaken over time and lose its grip, resulting in thousands of gallons of lost wine. 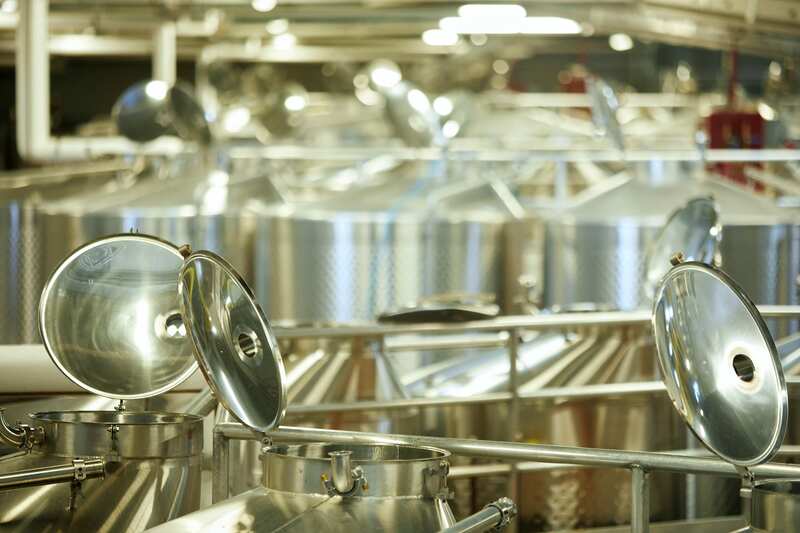 A tank can contain 5,000 gallons of wine, which is roughly equivalent to 2,500 bottles. Pipes, hoses, and gauges used to carry wine through processing stages. 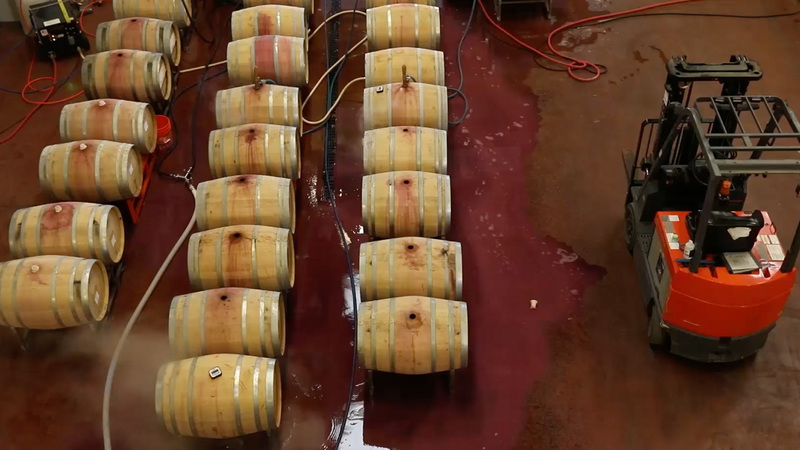 Barrels bear the markings of repeated use, often in the form of a red band around the middle, which can come from wine spillage during the topping-off process. 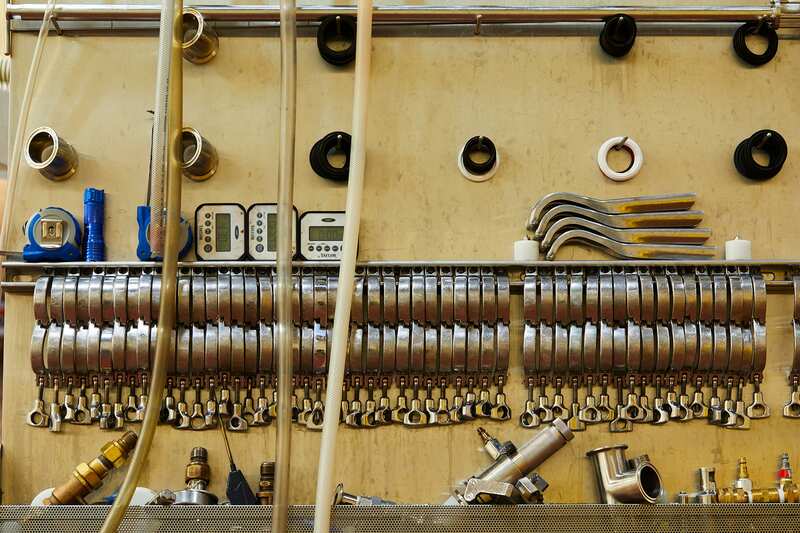 Clamps, gaskets, valves, and other hardware used in wine production. Running a winery is all about timing. Things move fast until they don’t, when wine needs months to age. And to achieve that speed, you need smooth processes, the enemies of which are clutter, human error, and mechanical failures that cause bottlenecks, potentially impacting annual output. The bigger the operation, the more concern there is about combining the wrong varietals—some domestic wineries produce 20 or more varietals in one location—or spilling wine as it moves from press to tank to barrel. (Many of these processes are now controlled by computers, making them vulnerable to hacks.) The more hoses used to transfer liquid, the greater the likelihood of mix-ups and leakage. If barrels aren’t properly sealed, excess oxygen and bacteria can turn the wine into vinegar. 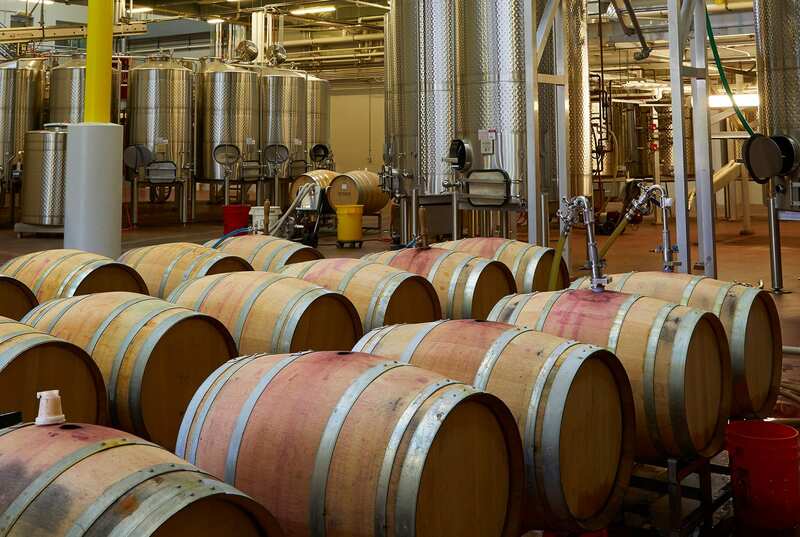 To save space, wineries often use portable racks to stack their barrels high. But this is a scary approach in some regions; even the slightest tremor of an earthquake can shake the barrels off their racks, potentially destroying millions of dollars’ worth of product. In 2014, a 6.0 magnitude earthquake hit Napa, damaging many wineries in the valley, and in 2010, Chile lost more than 12 percent of its wine supply—equal to $250 million—from the previous year because of an 8.8 quake. One way to limit earthquake damage is to strap down the top barrels in stacks. Here there aren’t any straps because this winery isn’t in an earthquake-prone area. That little red blend we reach for on long flights has brought about a major production shift. Airline-size wine bottles are almost all plastic now, and the typical 750-milliliter bottles are sometimes plastic too. And plastic is highly combustible. Wineries making the shift to plastic should ensure they’re equipped with appropriate sprinkler systems. Other bottling concerns? Proper labeling and potential injuries from flying corks—if you’re in the sparkling wine business. The sprinkler systems in many older wineries didn’t take into account the combustibility of plastic bottles. What if the father of the bride gets drunk and falls into the pond or a bridesmaid slips in the cellar as she’s grabbing a fresh bottle? If your winery functions as an event space, then you’re exposed to a slew of extra liabilities. The things you can do to provide a safe environment are basic but make all the difference: Make sure cellar floors aren’t wet and that walkways are clear of debris. All areas should be well lit, especially parking lots, so guests leaving late at night can easily find their cars. And if your winery is also a bed-and-breakfast, as some are, it has to operate under the same food and safety standards as a hotel. This is how a trained risk consultant sees a winery. Learn more from Chubb risk expert Thomas Neale. Are there any types of wine that are particularly hazardous to produce? Red wines are generally riskier because the juice is fermented with the grape skins, which have to be removed from the fermentation tanks afterwards, typically manually by an employee in a tank with a shovel. Sparkling wine also presents employee hazards: the pressurized glass bottles can explode if dropped or, during processing, if the bottle is flawed. In your experience, what is the most important thing wineries should focus on from a risk perspective? You’d think that wineries would be immune from risk because they’re so peaceful. But wineries, as we’ve learned in the news recently, are particularly vulnerable to fires because they’re often situated in remote areas. Fire protection systems are a critical initial defense; they both control the fire and notify the nearest fire department of an emergency. 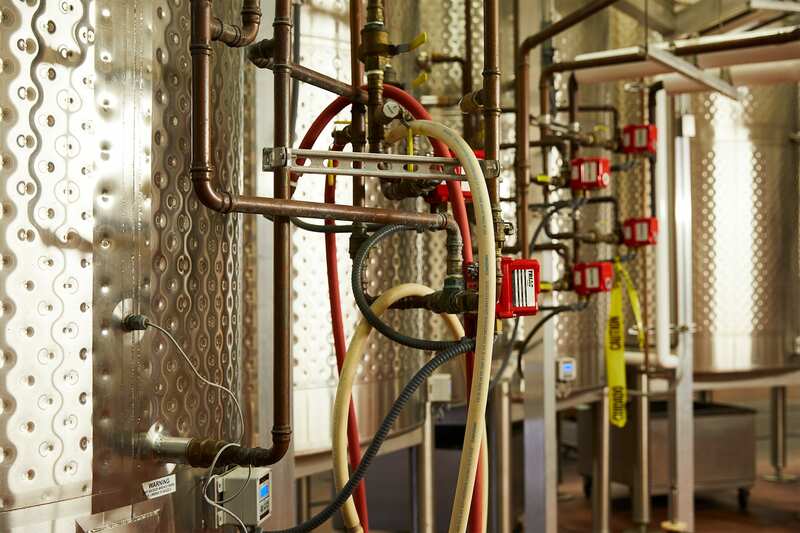 Sprinkler systems seem straightforward, with pipes located at the ceiling level throughout the buildings, but it’s important that they’re tested regularly, particularly if the winery maintains its own private water supply. What's the craziest situation you've encountered in the field? The most surreal experience was working with a winery located close to the epicenter of an earthquake. Cellars are, by nature, very well organized, using portable racks so that the barrels of aging wine can be efficiently accessed and moved. In the wake of the earthquake, the unsecured nature of the racks left the cellar strewn with barrels, like pick-up sticks, but with each weighing nearly 600 pounds and many leaking.